I’d love to sit here and write, “I told you it was coming.” But with the Glazers, you can never tell. On Monday, “it” did happen. 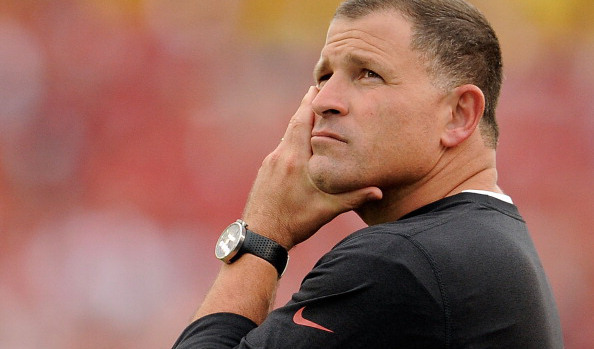 The Buccaneers fired head coach Greg Schiano, who went 4-12 in his second season and 11-21 during his two-year tenure. The axe didn’t stop there; Mark Dominik is also out after five seasons as general manager. During those years, the Bucs were 28-52. Yes, it was time for a change. Remember back to last year, when the Bucs were 6-4 after ten games and right in the middle of the playoff hunt? Since then, they’ve gone 5-17. Schiano will be more remembered for incidents like telling his team to rush Eli Manning during a victory formation. Then there was the ugly saga involving former quarterback Josh Freeman. The Bucs got off to an 0-8 start, and never recovered. Then there’s this: Tampa Bay hasn’t made the playoffs in six years. The Bucs haven’t won a playoff game since they won the Super Bowl. So who are the potential candidates for the head coaching job? One name I see mentioned a lot online is former Bucs’ assistant coach Lovie Smith, who also has head coaching experience with the Bears. I wouldn’t mind seeing him get the job. But who knows; the Schiano hire came from out of nowhere.